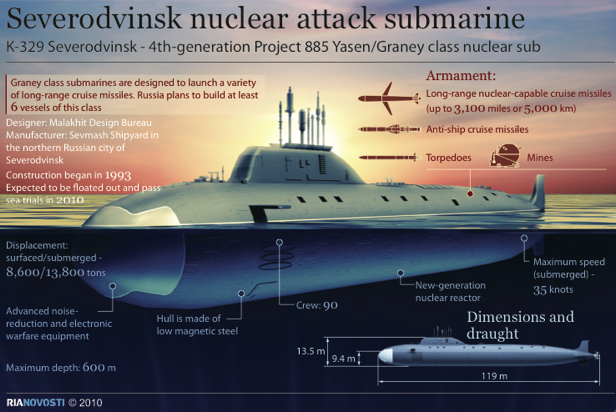 Construction of the K-329 Severodvinsk Yasen-class nuclear attack submarine started in 1993. Budgetary problems delayed the construction for years, and it was only launched on 15 June 2010. Severodvinsk began sea trials on 12 September 2011. On June 3, 2013, submarine has embarked on its latest series of official tests in the White Sea.